I can tell you the exact month I became a little crazy about chocolate. It was February 2008, and it was Mr. R’s fault. My second winter in Madison was long and cold, and by February we were both a little stir crazy and bored. 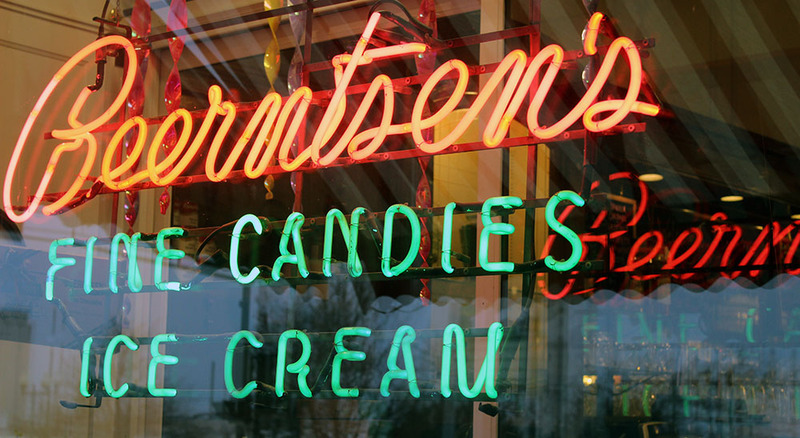 That was when the New York Times published an article in their travel section about a bastion of generations-old candy shops in Wisconsin, the closest one a mere 1.5 hours away. My early history with chocolate was pretty typical, consisting mostly of Mars and Hershey. Chocolate Santas in my Christmas stocking, waxy chocolate Easter bunnies stashed in my closet and rediscovered in late summer well past their prime, all the Snickers and Crunch bars from my sister’s Halloween haul because chocolate made her sick. It was really more about sugar and candy than about chocolate. 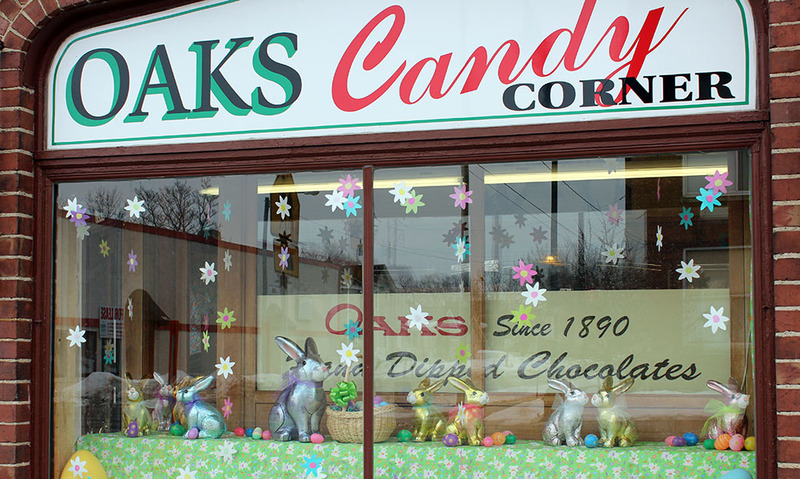 But ever since my first trip to Oak’s Candy Corner in Oshkosh, a nostalgic looking shop filled with sugar high inducing options, I’ve been hooked on good chocolate. Now there is always, without fail, a stash (or two….okay maybe 3?) of chocolate in my apartment. The article also began an annual tradition with my Dad. 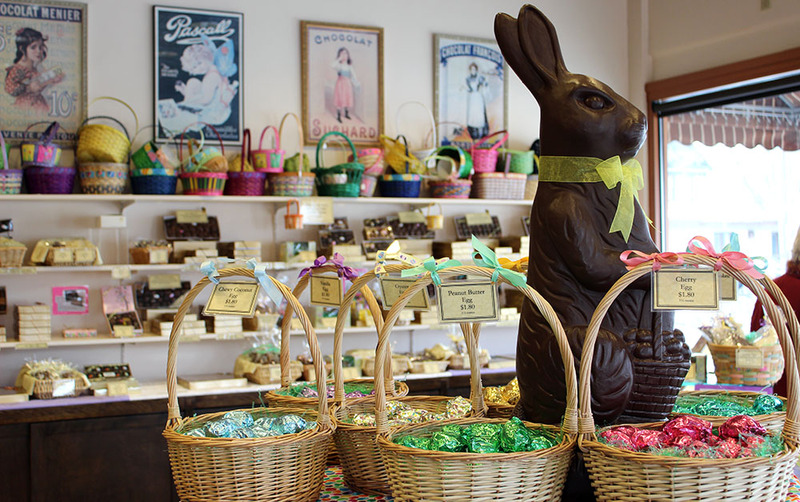 Every spring a few weeks before Easter he comes to visit for a weekend, and on Saturday after breakfast we hit the road and ring ourselves around the Wisconsin Candy Delta just like the article suggests. It’s a day we both look forward to, and just the thought of all the chocolate shops ahead of us makes me giddy before even a milligram of sugar hits my bloodstream. The trip takes about 8 hours from Madison and includes six stops before we make it back to town for a late dinner. I can’t say I have a clear favorite. They all offer similar treats, but each one has unique strengths. Read on at your own risk. You may find your stomach growling hours before lunch and a webpage open with airfares to Madison. The chocolates here are probably the most unrefined and homely, but don’t let that fool you. They’re also the cheapest, and you can walk away with a pound of mixed goodies for less than $20. Oaks makes stellar meltaways with airy, mousse-like centers that dissolve effortlessly on your tongue. You can get them by the piece or a few flavors are offered in individually wrapped candy bar size. Mr. R’s favorite are the Malty Melty bars. Wilmar’s is on the exact opposite end of the spectrum from Oaks, offering the fanciest and most expensive chocolates of the trip. I would say these are my favorite, but I don’t consider it a fair comparison. Wilmar’s knows the quality they are selling and are accordingly careful to protect it. Before you can pick out your selection, you have to answer a barrage of borderline personal privacy invading questions like “are you flying with these?” “how far are you traveling?” and “when will you be eating them?”. Don’t even bother asking for the french mint meltaways to be put in the same box as everything else; they insist on packaging them separately. Anything you choose here will be good, but the Cashew Wilmarvels (their take on the turtle) are my favorite. You can also have a chocolate bar custom made on the spot with your choice of mix ins. This shop is the least attractive and can be a bit confusing inside. 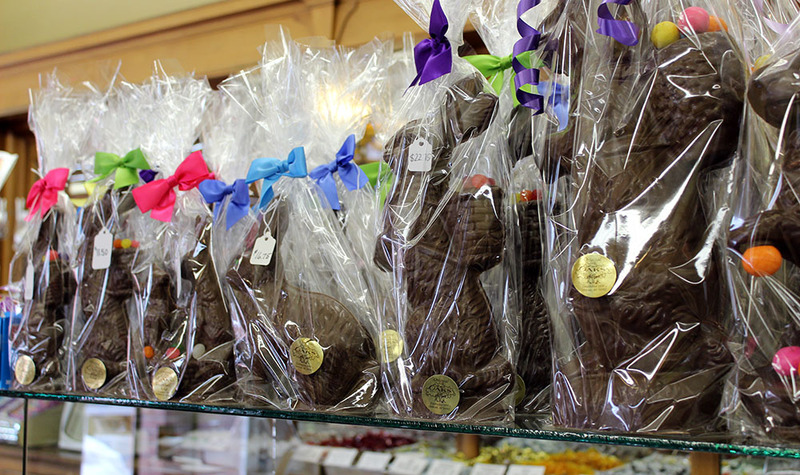 Weave your way past the aisles of greeting cards and packaged wholesale candy to the back counter where you will find the homemade chocolates you came for. They have a small selection, but their turtles and meltaways are both strong offerings. I love the original cashew turtles with their creamy caramel and chocolate on top of a healthy pile of salty roasted cashews. The salt is key since it cuts the rich sweetness of the caramel and chocolate. 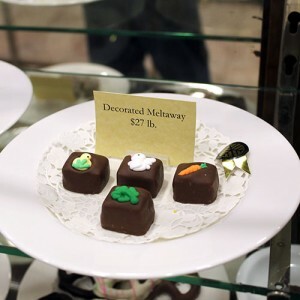 Like Oak’s, they also make and package their meltaways in candy bar size. Skip the almond flavor, and go for the mint, chocolate crisp, or peanut butter crisp instead. I fill my box with only two things here: peanut butter balls and salted caramels. I’ve tried their truffles and creams and marshmallows in the past, but now nothing tempts me to waste space that could be better filled with peanut butter balls. A round of peanut butter filling with a hint of crunched up graham crackers is rolled in a coating of dark or milk chocolate. You might think it sounds pretty much like a peanut butter cup, but the ratio of peanut butter to chocolate here leans heavily and perfectly towards peanut butter. They also do chocolate covered nuts well, and Mr. R has been enjoying a bag of chocolate coated cashews. 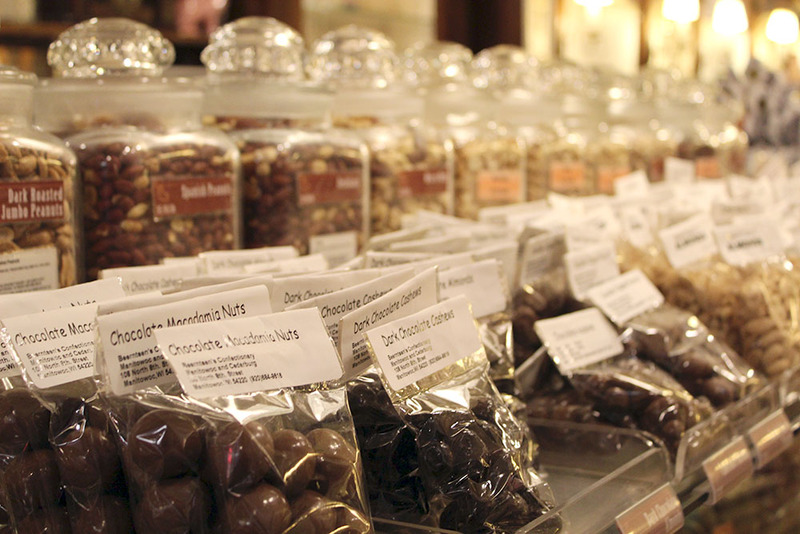 Beernsten’s in Green Bay offers some of the best chocolate covered nut clusters on the trip. They have two long cases of chocolates to choose from, so it usually takes me a while to organize my selection in my head before ordering. 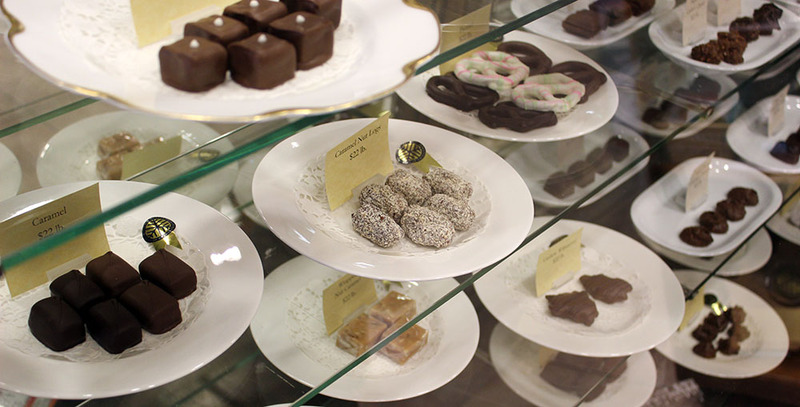 Organization is key here since the shop is often staffed by a single frail-looking, old lady who shuffles behind the display case and fills your box of chocolates p-a-i-n-f-u-l-l-y s-l-o-w-l-y. The peanut crunchies are my favorite. 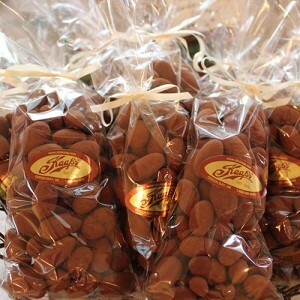 Hard, striated caramel is embedded with roasted peanuts and covered in chocolate. It reminds me of a Butterfinger bar but so much better I feel treasonous making the comparison. 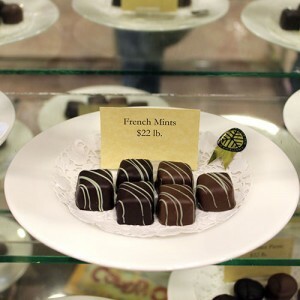 Two chocolate stores, same name….there seems to be a family connection in their past but any concrete history has faded. I like to imagine two brothers estranged by their disparate ideas of chocolate perfection. 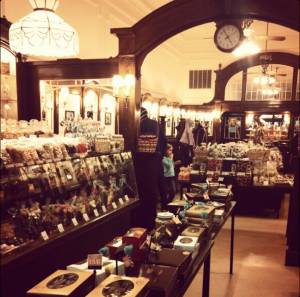 This store is the last stop on our trip, but truly the most magical and nostalgic inside with it’s panels of dark walnut, warm light shining from wall sconces, and an old fashioned ice cream counter. If you forced me to choose, I’d say this one has my favorite all around chocolate. I fill my box with peanut butter cups with perfectly creamy centers, nut clusters, nougat, and almond bark. The chocolate is creamy, sooth, and sweet. Perfect for melting slowly and richly on your tongue. 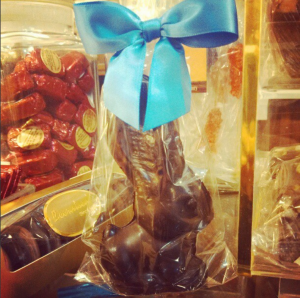 They also had the most handsome Easter Bunny I saw all day. So if you ever find yourself in Wisconsin and craving a chocolate fix, I highly encourage you to seek out any or all of these shops. I am already missing them knowing that next spring Mr. R and I will have moved out East! 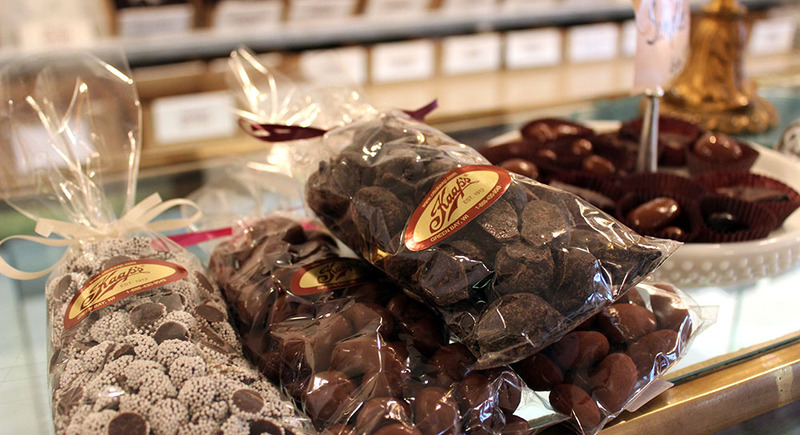 4 Responses to "A Wisconsin Chocolate Tour"
I remember fondly the one trip you and I took to Oaks and Wilmars. Mmmm, chocolate. And the other homemade candies…homemade gummies! 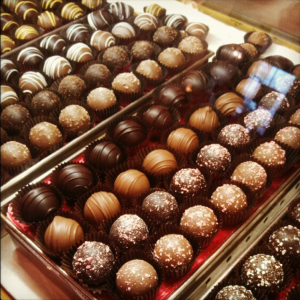 Definitely a fun time, little Wisconsin chocolate shops. You know I put it there just for you! 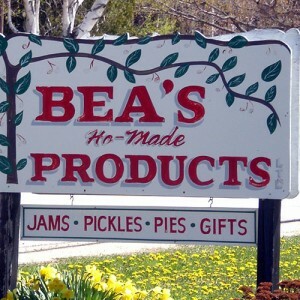 Can’t get enough of those Ho-made products!